The 10.5-inch iPad Pro is a great tablet, with enough power to make it a great laptop replacement. The only thing missing is a keyboard. And a protective clamshell-style case to protect the iPad Pro would be great too. 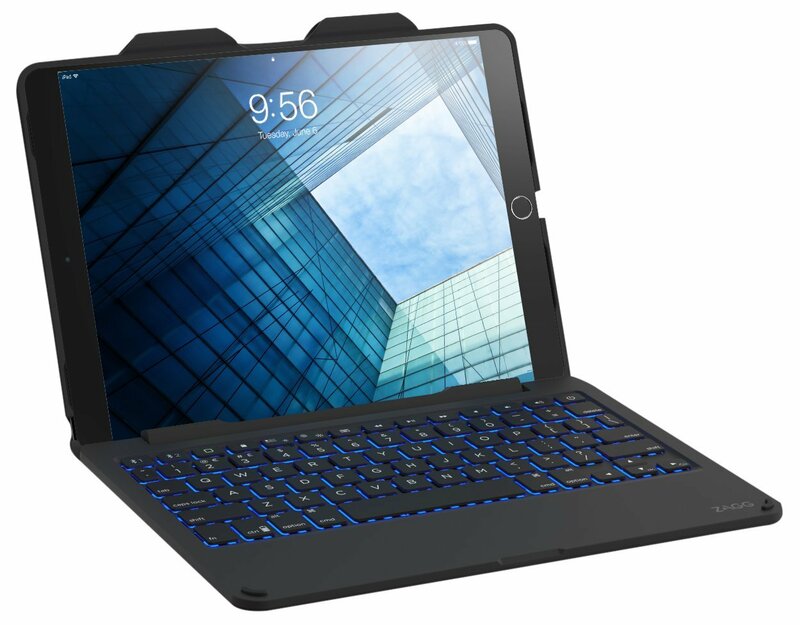 Enter the ZAGG Slim Book Keyboard Case for 10.5-inch iPad Pro. 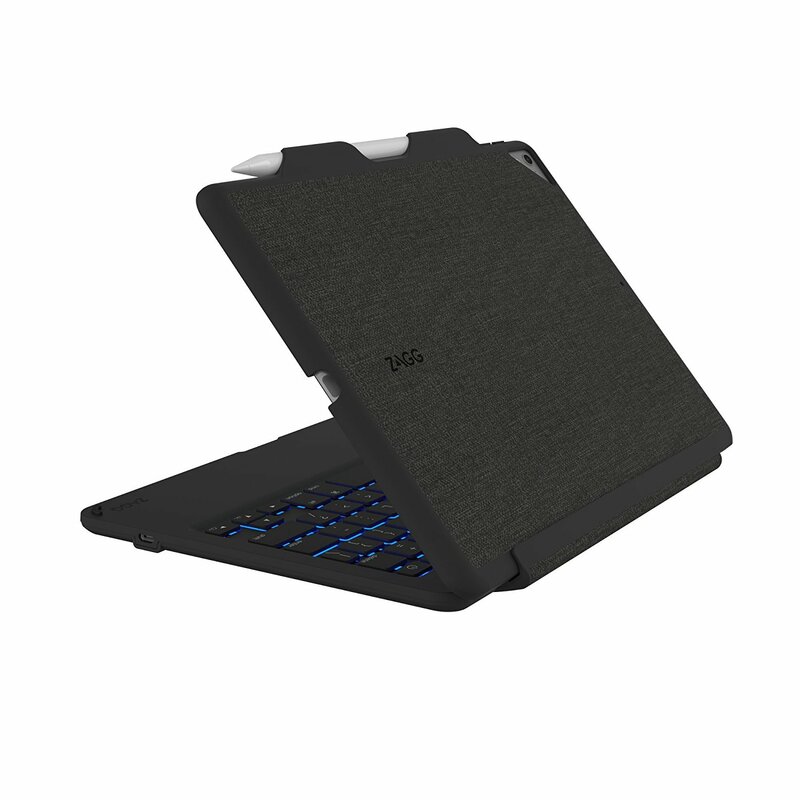 The ZAGG Slim Book Keyboard Case for the 10.5-inch iPad Pro is a slim, protective case that includes a detachable Bluetooth keyboard. The Slim Book provides a laptop-like clamshell setup, allowing users to make use of their iPad Pro in the same manner they would their MacBook. The Slim Book offers a good amount of flexibility, and doesn’t force users to always use their iPad Pro in a laptop-like configuration. 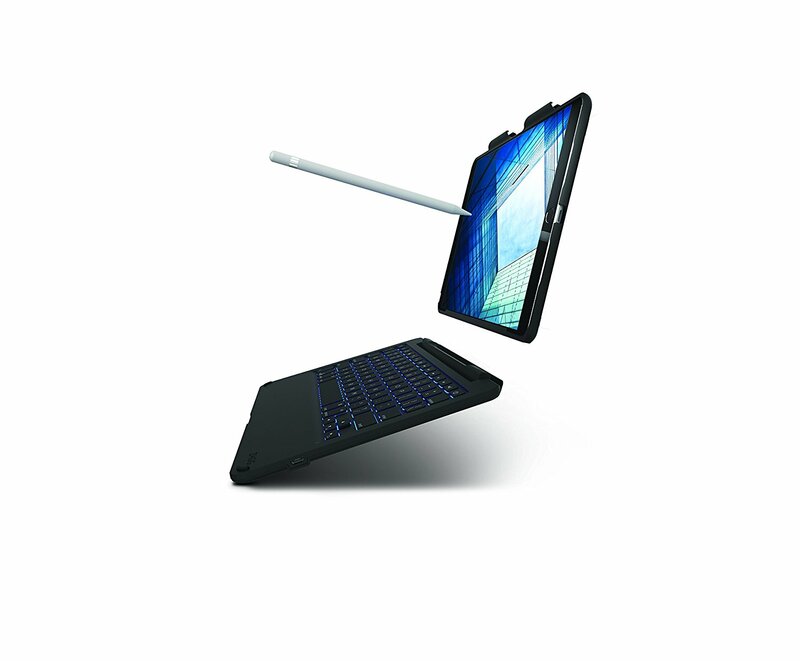 Instead, the ZAGG Slim Book’s design offers a magnetic clamp to hold the case and keyboard sections of the Slim Book together. If you’re not going to be using the keyboard, you can separate the two sections, using the tablet in the traditional way. The grip of the connector is firm, and always held together well, never accidentally coming apart. However, it was easy to separate the two halves when I meant to. The Slim Book offers a wide range of viewing angles, as it can go from closed to laid flat, and anywhere in between the two. This offers a great variety of viewing options, no matter what your working conditions are. This is much more flexible than some other keyboard solutions I’ve seen, which offer more limited viewing position options. If you so desire, the encased iPad can be slid out of the clamp, flipped, and then reinserted into the clamp, offering a good option for viewing videos. The Slim Book’s shell is made of a polycarbonate, and does a great job of protecting the edges and back of the iPad Pro from harm. Much of the shell is covered with a fabric-like texture, which looks great, and provides good grip-ability. It’s one of the best looking cases of this type that I’ve ever used. The only openings on the case are for the lightning port, cameras, and the tablet’s mic. That said, the volume and power buttons are still accessible, via flexible button coverings. The case’s edge directs sound from the iPad Pro’s speakers toward the user, which is a nice feature. One especially nice feature will be appreciated by Apple Pencil users, as the case has a pair of clips on the side that firmly holds the iPad stylus. As someone who never knew what to do with his Apple Pencil when he wasn’t using it, this is an especially welcome feature. The Slim Book keyboard is comfortable to use, and responds well to the touch. The keys are packed a bit closer together than MacBook users might be used to, but as a MacBook Pro user, I didn’t have any problems adapting. Users with large hands might find the typing a bit cramped, so you might want to try before you buy. The keyboard connects to the iPad Pro via Bluetooth instead of the Smart Connector. This could be a benefit or a drawback, depending on your outlook on life and Bluetooth. The Slim Book is designed to last up to 2 years between charges, so once it’s fully charged power shouldn’t be an issue for most users. I didn’t experience any issues connecting the keyboard to my iPad Pro via Bluetooth, and the connection remained strong. The keyboard’s keys are backlit and can be cycled through various backlight colors. The keyboard can be toggled between two devices, making it easy for multi-device users to use the Slim Book to type on a second device. 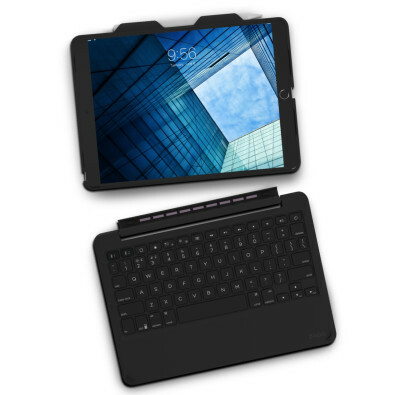 The ZAGG Slim Book Keyboard Case for the 10.5-inch iPad Pro is an excellent way to protect your iPad Pro, while also offering an efficient and comfortable way to enter text on your 10.5-inch iPad Pro. The Slim Book’s keyboard is comfortable to use, and provides a great option for laptop users who looking to make the transition to the iPad Pro. I found the keys comfortable and easy to use. The Slim Book is attractive, and seems to do a great job in protecting the iPad Pro, while not adding a horrible amount of weight or bulk to the device. I expect I’ll continue to use the Slim Book on my iPad Pro, as it is the best case/keyboard combo I’ve been able to try so far. The ZAGG Slim Book Keyboard Case for the 10.5-inch iPad Pro is available at the ZAGG website for $119.99. It is also available on Amazon for $114.37. Disclaimer: The ZAGG Slim Book Keyboard Case for the 10.5-inch iPad Pro was provided to me at no cost for this review. All opinions expressed are my own.